It’s officially one week till Christmas, which means it’s time to get deciding which festive favourites you’ll be watching on the big day. Will it be Elf, Home Alone, or Love Actually? Or will you get your fix from TV specials in the form of Doctor Who, Call The Midwife, or even Strictly? Well, according to bookies, the most-watched programme on Christmas Day is likely to be the 2018 Mrs Brown’s Boys Christmas special. If I was a BBC boss, I’d be feeling pretty smug in the knowledge that the Christmas day ratings would be absolutely fine because of the previous success of Brendan O’Carroll’s divisive sitcom. 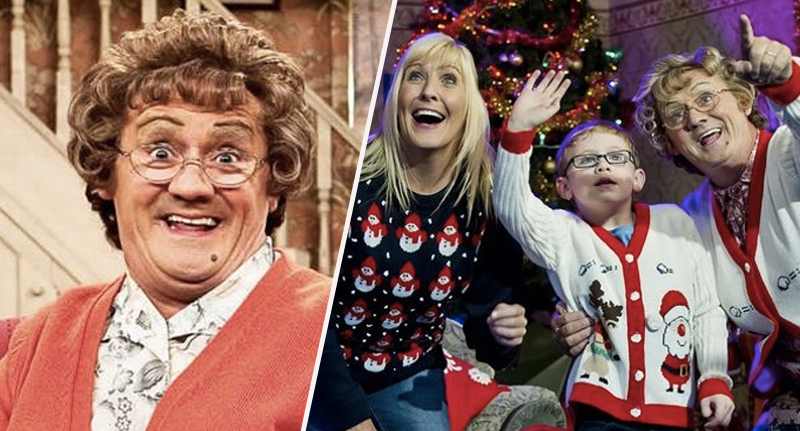 For three years in a row, the Mrs Brown’s Boys Christmas specials have pulled in more than six million viewers overnight, and more than nine million consolidated viewers (including those who watch on catch-up). And this year is set to be no different – with bookies hedging their bets that this will be the most-watched show on the big day. As reported by the Metro, Coral have currently placed it at 6-4 – ahead of the Strictly festive special (2-1), Call The Midwife (3-1) and Eastenders (7-2). Mrs. Brown’s Boys was a surprise winner of top spot last Christmas Day but it’s back again for more this time and we’re expecting it to prove just as popular. We make it the favourite to be the nation’s favourite show this year. The BBC had eight of the 10 most watched programmes last year and that gives us a few clues as to where the most watched might come from this year. Eastenders is always popular and something like Michael McIntyre’s Christmas Show could pull in a lot of viewers too. It comes after the show’s creator and star, Brendan O’Carroll, recently revealed the show could finally be coming to an end. The Irish producer and actor revealed he’s planning to focus on his talkshow, All Round To Mrs Brown’s, rather than the sitcom, which he developed from a radio play he wrote, Mrs Browne’s Boys, in 1992. 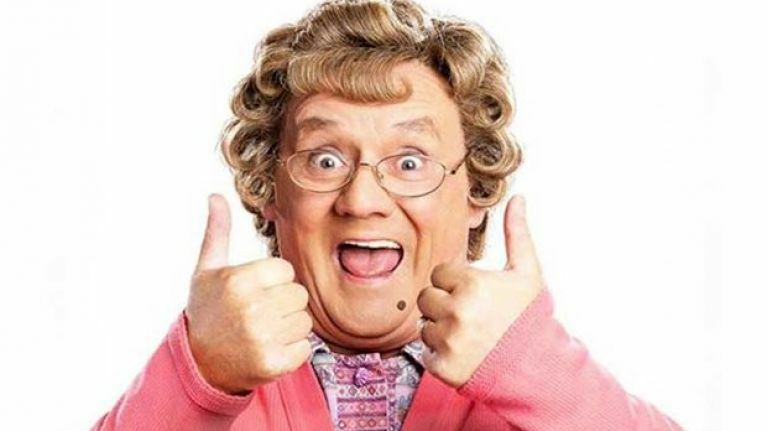 Mrs Brown’s Boys has been running since 2011 and despite poor reviews, the show has become an international success – you only need to look at its Christmas ratings to see that! O’Carroll’s foul-mouthed character and her eccentric family has proved to be a surprise hit for the BBC, with the show’s producers encouraging O’Carroll to do more due to its success. However, it seems the sitcom will be drawing to a close after the Christmas special, so that O’Carroll can focus on the talkshow. Since the success of the television series, the BBC and independent production companies were on to us for a long time. We always said no as Mrs Brown doesn’t leave the house. Then we thought, why don’t we do the talk show but not leave the house? We then made a pilot and were taken aback when it worked. By the time we got to the second to last episode we got asked when we would like to record a second series. So it seems even more likely that the bookies’ predictions will ring true, as everyone will be trying to get their final share of Mrs Brown.